Academic Engagement at the FAC Museum – WHAT'S GOING ON IN THIS IMAGE? Due to the nature of our work, exhibitions are subject to change or cancellation. We will be updating this schedule regularly to keep it as current as possible. Please bookmark this page and stay tuned! REBECCA BELMORE: FACING THE MONUMENTAL (6, 7, 8) Belmore’s artwork explores her lifelong commitment to the relation of beauty and politics in art. Keywords: water and land rights, cultural freedom, homelessness, violence against Indigenous people, performance art. 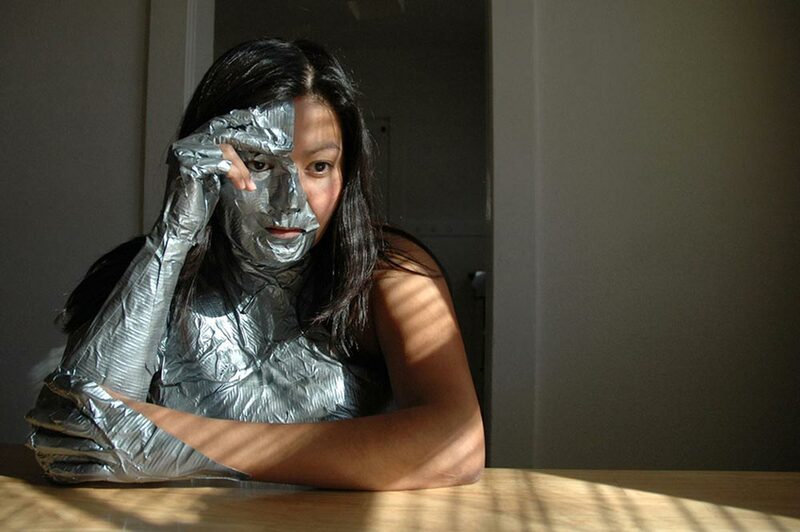 Christine Howard Sandoval, multimedia artist, teacher at Parsons, and Program Coordinator for CALL/ City as Living Laboratory in New York City, will be on campus from May 20 – June 22, 2019 (Block A of 2019). 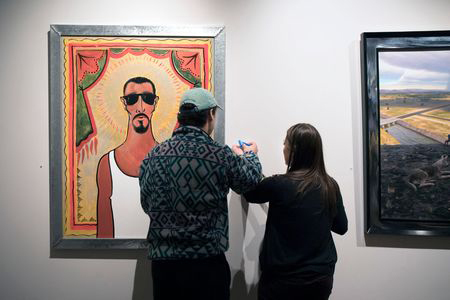 Christine Howard Sandoval’s work will be exhibited in the FAC Museum from March 9 – October 20, 2019. Anna Tsouhlarakis (Diné/Creek/Greek) works across various media including sculpture, installation, video and performance art. She describes her work as a continued interest in building conceptual connections between seemingly disparate subjects by combining them to become the tool for deciphering as well as interpreting her own familial narratives. 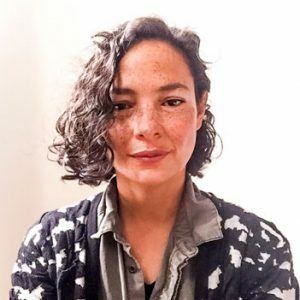 She earned her Bachelor of Arts degree from Dartmouth College in Native American Studies and Studio Art, and her Masters of Fine Arts degree from Yale University. She was an art resident at the Skowhegan School of Painting and Sculpture in the summer of 2002. Her work has been curated into exhibitions both nationally and internationally, including Art for a New Understanding: Native Voices, 1950s to Now, a traveling exhibition organized by Crystal Bridges Museum. Her residency will take place August 19, 2019 – May 17, 2020. The UnBlocked Gallery is an exhibition and teaching space within the Museum that supports sustained pedagogical engagements with material and visual culture. As well, the gallery provides a public window into the learning processes experienced by our students. The Museum is accepting applications for UnBlocked Gallery in academic year 2019/2020, blocks 1-8. Faculty from all departments across the college are encouraged to submit proposals; those whose proposals are accepted will work in consultation with museum staff in Spring 2019 to develop and support their projects. VTS, or Visual Thinking Strategies, is a collaborative exercise in critical visual analysis – which is a cross-disciplinary skill and a foundational component of a liberal arts education. While this excercise can be applied to almost any visual data – graphs, scientific diagrams, our physical environment – students of the sciences will benefit equally from doing VTS with art. In Professor Jason Weaver’s 5th block course, Japanese Americans During WWII, his students explored the voices of people who were interned, and considered the social and political forces present during WWII. They also considered cultural factors common among Issei (first generation Japanese immigrants) and Nisei (second generation Japanese Americans) that could influence these experiences and events. 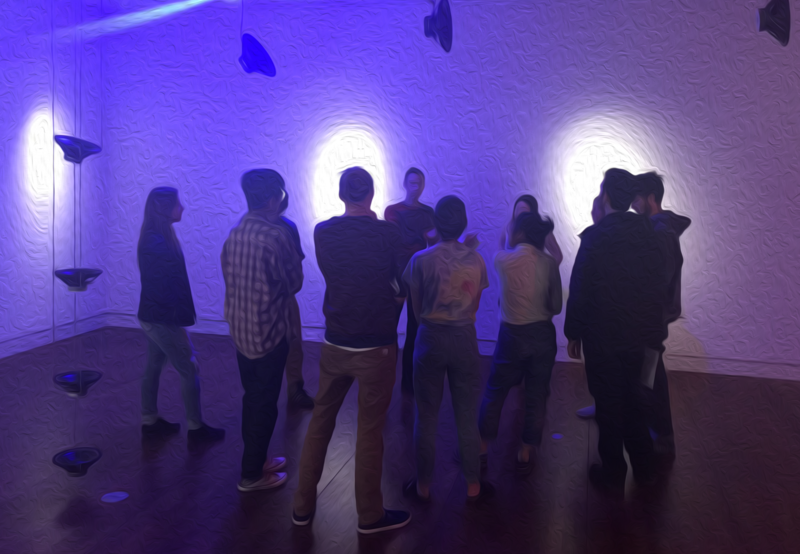 In the UnBlocked exhibit, students were asked to consider three groups of objects that might provide insight about the experiences of Japanese and Japanese Americans. The photographs allowed students to compare and contrast what one of the camps (Amache) looked like during the 1940s and present day. The artwork encouraged students to speculate about the experiences and perspectives of interned artists. And the propaganda provided context for ways that Japanese Americans were viewed and treated by society. The following is Jason’s response to his experience planning for and using UnBlocked Gallery with his students.